Should I stop drinking or learn how to control my drinking? This is a question I have been asked by the clients I have helped with alcohol issues every day of my life for over twenty two years. The men and women who buy my on-line program ‘7 Days To Drink Less’ do so because they secretly hope they can learn to drink less. Often this hope is accompanied by a niggling thought that they should stop drinking all together. The secret is you have to learn to change your thinking before you drink. You may ask how this is possible when you have tried to control your drinking in the past without success. If you have tried to consciously to stop drinking or reduce your alcohol consumption with limited success, it simply means the emotional part of your unconscious mind doesn’t understand what you want to achieve. The unconscious mind is where all your emotional habits are stored and one of its most important goals is to protect you against feeling vulnerable. Here are a few of the varying reasons why you may be using alcohol to cope with life. Are you using alcohol as a tool to feel better about your self or to de-stress and relax? Or are you drinking to entertain yourself when you are bored or do you use it to help you sleep? If you can relate to any of these reasons then they may be part of your drinking pattern and if so then your unconscious mind will continue to respond this way. If your conscious mind and your unconscious mind have differing opinions about how to deal with life, then the unconscious mind will always win the argument. Hence when people say they don’t have any willpower to drink less then the good news is it has nothing to do with willpower. However, it has everything to do with the unhelpful alcohol coping strategies you have unconsciously developed which have become habitual. If you are pent up and angry then drinking alcohol may become your unconscious way of dealing with or dampening down these emotions. Or you may feel anxious about a social occasion and need a sneaky drink to bolster your confidence. This is where the health benefits of hypnosis step in as it assists you in your desire to stop drinking or to reduce alcohol consumption. Hypnosis is a beneficial tool, which can help you succeed with your goal to drink less. Some people may feel hesitant about experiencing hypnosis but I can assure you it is one of the most successful and easiest ways to make emotional changes. The most successful sports people in the world use hypnosis because it is a quick and comfortable way to improve their thinking strategies. Some of my clients express concern about whether they are alcoholics or are worried about their binge drinking. These men and women are often anxious people. Anxiety is a fundamental aspect of why so many people find it hard to cut back on their drinking. They want to reduce their drinking but are fearful they won’t be able to stop drinking once they have that first glass. This fear can lead from drinking the first glass or two, to three or more. Then they fret that their internal button to stop drinking isn’t there. So even before they have their first drink they are feeling scared and worried they will drink too much. This then causes the vicious cycle of being scared to drink and then drinking to run away from this terrible fear. This drinking anxiety is a battle between the conscious and the unconscious mind, which can be extremely emotionally painful. ‘The 7 Days To Drink Less’ is beneficial in assisting in the reduction of alcohol consumption because it helps you understand how your unconscious mind often plays with your conscious mind. And the best part is all you need to do is relax and enjoy the journey to a healthier and happier you. Hypnosis calms both your mind and body, and allows your conscious mind to drift then as this happens your unconscious mind becomes more open to changing its learnt behavioral patterns and emotional responses. ‘The 7 Days to Drink Less’ is made up of 10 powerful hypnotic recordings in combination with life changing psychology technique called Inner Dialogue. These amazing techniques can help you to drink less by alleviating your fears, whether it is the need to stop drinking or simply to cut back on your alcohol consumption. The first day is free. So sign up now and you’ll be on your way to drinking less and discovering a healthier, happier, confident and positive you. 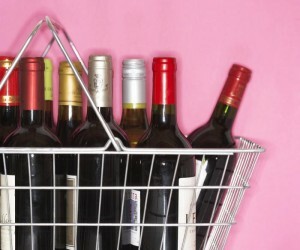 How much are you spending on Booze? Women who cut down on their alcohol intake by two glasses of wine a week could save that money and pay for a holiday for two says Georgia Foster, an Alcohol Reduction Expert. The expert who helps people to cut down on their drinking with her 7 Days To Drink Less Program has said that not only will women be able to save money; they will feel healthier by reducing their alcohol intake. With the stress of long working hours, economic problems, and busy day-to-day lives, a lot of women are drinking more than the recommended amount in the USA. That can lead to serious health problems and even financial problems. The Alcohol Reduction Expert has said for many years now people have been told to cut down on their drinking for health reasons, and although it’s important to cut down for better health, many women are bored with being dictated to. According to Georgia Foster, women need a real incentive to cut down on their drinking, and by showing women if they cut down by two drinks a week, they could afford a romantic break, which could be the incentive they need. Georgia Foster, who is author and hypnotherapist expert, helps women all over the world reduce their alcohol intake with her 7 Days To Drink Less program. The program allows people who understand they drink too much but struggle to cut down, achieve their goals. The proven 7 Days To Drink Less program has received worldwide media attention due to its success rate in helping men and women reduce their alcohol intake. By reducing the amount people drink, they will have better control over their lives while feeling healthier. I’ve just spent over an hour being interviewed for a story about my history of drinking along with my love life and fertility issues. Some of you may know that I started drinking heavily when I was 19. At the time I was dating an older guy, he was 30. I learned very early on that drinking a lot alleviated my insecurities around his friends. They were all doctors and nurses and I at that stage of my life hadn’t figured out what I wanted to do professionally. I was working as a secretary, now known as a personal assistant and felt very unfulfilled because I had such high achievers around me. When I look back now I realise how insecure I was and my low self esteem was so bad that I actually thought without alcohol I was boring, uninteresting and dumb. It didn’t help that my best friend was a very successful model. Even Rod Stewart hounded her at a night club once and she was constantly bombarded with men trying to get her attention. I on the other hand, slightly plump, Greek looking with a Greek name called Georgia was too foreign looking. Not that I had anything against being Greek it was more the point that I wasn’t the Blonde Aussie girl which was all the rage. So going on from there my boyfriend and I broke up, I had a string of very unhelpful relationships where I was criticised anywhere from being not blonde enough, slim enough or clever enough. By the time I came to London at the age of 28 I was really excited about starting a new life here after studying Voice Dialogue Psychology in California. I started working in an investment bank and then my drinking really did get out of control. Often one of my bosses would sign my time sheet and then take me out drinking all afternoon and I became known as the Aussie Drinker! I ended up in some pretty compromising situations from waking up with one of the bankers who I had to face the next day to waking up with a half eaten Big Mac next to me, not remembering how I got home. My drinking heavily continued into my 30’s with dire consequences emotionally and psychically. But I had my tipping point, and through my own work discovered a new way of thinking, a new way of reducing how I drank and what I thought about myself. My life has really turned around since the heavy drinking days, I have a thriving business that genuinely changes lives, a loving partner and 3 beautiful children. I don’t say this stuff to brag, the reason I am happy to share my story is to offer hope to anyone who has faced similar trials, to inspire people to take back control of their lives. You can turn it around, you can change your thinking. Can You Share Your Drink Less Mind Story? I am often approached by journalists asking me if I have, ‘a client that is willing to talk about their story’. I feel uncomfortable but understand the need to do so in order to spread the word about the Drink Less Mind and to inspire other to drink less and to cut down drinking. The Drink Less Mind is a deeply personal experience and is 100% confidential but I do know that some people are happy to share their journey. If you are someone who can help, please do let me know. Journalists are particularly keen for people who are happy to be named, interviewed and photographed. You never know, your story could inspire someone to face their demons. Contact me via email or the contact form on this website and I will personally respond. As you know, being an Australian who has travelled the world and settled in London, England, I have a great understanding of the subtle (and sometimes obvious) differences & similarities in cultures and people. So when I was recently interviewed by some Australian press about, ‘What is a standard glass?’ I took the opportunity to speak my mind! I was horrified that the scaremongering that I witness in the UK is also rife in my home country. Doctors recommend for women 14 units per week, which is around two bottles of wine and for men 21 units (unit is 125 glass of wine). However, some people may not know that the unit measurement is not based on any medical evidence but rather was suggested as a guideline as to how people should drink. The Medical Association came together and decided that like calorie counting people needed a form of guidance on how to drink less. It is believed that people are embarrassed to disclose to their doctor how much they drink per week. As a form of alcohol education the Medical Association decided that as a general rule this seemed to be true and so decided to reduce limits by three times. However, for many sticking to those measurements can be challenging and I believe you can learn to drink more safely by pacing yourself, so that the liver has time to process the alcohol. This is why binge drinking is a problem. The body and brain has difficulty dealing with large quantities of alcohol at the same time. There are two types of drinkers: The social and the emotional. The social drinker, drinks purely for fun and social interaction. This type of drinker can have a few glasses of booze but unless they are in a social situation they wouldn’t think of drinking. The people that The Drink Less Mind treats are the emotional drinkers. They don’t belong in AA but are secretly concerned about their drinking. They use alcohol as a stress management tool to deal with the challenges of life. This is when problem drinking can occur. Another important point to make is that someone who uses alcohol as a way to relax and de-stress will over a period of time become more tolerant to that first glass. Therefore they will need more alcohol to get that same feeling of stress release. So it comes as no surprise that this form of alcohol consumption can lead to an increase and this is a concern. The 7 Days To Drink Less program deals with the underlying issues as to what is driving someone to drink more than they want to and how to feel less stressed. The net effect is their emotional thought patterns change to a healthier way to think and feel about their life. This way they can learn a more positive coping strategy to what life brings them. The Drink Less Mind is not for alcoholics but rather for people who recognize their drinking behaviour interferes with their lives in a negative way. The domino effect of emotional heavy drinking can become habitual. The result of this type of drinking can lead to anxiety, depression, low self esteem, sexual and social problems as well as weight gain and other health issues. On another note I took my mother out for her birthday and we shared the most delicious bottle of Californian wine. I love the stuff but it is so difficult to find here in London and also expensive. My point here is there is absolutely nothing wrong with sharing a bottle of wine or more on a special occasion without guilt. This sort of drinking does not cause concern. So let’s band together and wave to those who drink for pleasure and support those who drink for emotional reasons and stop making them feel bad. I believe these people have a thinking problem not a drinking problem. Teaching young people to have true self confidence can help them deal with bullying, sexual harassment, gender issues, social anxieties as well as being assertive and having a voice when necessary. Over the years I have had the privilege of helping teenagers with self esteem issues. I always say and will say again here in this blog that self esteem is something we need to learn. We are not born with it. Irritatingly it doesn’t seem to be taught in schools either. Young people are particularly shocked when I tell them this, as they assume everyone else is more attractive, more clever and interesting than they are. I feel very passionate about helping the younger generation basically to help them avoid some of the pitfalls of life. Obviously there are many situations in life that are unfortunately necessary for the young to go through, however there are many situations that can be avoided or managed much better. It makes me sad when I hear of young people with lots of hopes and dreams who feel the need to drink alcohol to excess and take drugs to fit in. One of my 19 year old clients told me last month that it was expected amongst her peers to take cocaine and drink alcohol to the point of oblivion. Both these actions she wasn’t happy to do but felt obliged to say yes to stay with the ‘in crowd’. My heart sank when she also told me what was expected of her sexually too. Such a lovely girl and already feeling unsure of herself to the point that she has to say yes when she wants to say no. And all of this type of coercing between her so called friends was with the influence of alcohol and drugs. My lovely young client is a beautiful and talented girl who deserves to like herself and embrace the true wondrous being she is. That is what is great about my work – I help people feel the sensations of calm and confidence while still remaining humble and intuitive. My thoughts now being a new mother myself as to how to raise my triplet boys so they have confidence and courage to stand up for themselves is there daily. So seeing young clients even more so now fills my heart with a drive to help this age bracket more. As you know I don’t profess to be teetotal in fact not at all and I always say having a hangover now and again is completely acceptable as far as I am concerned. However some of my young clients who are 16 are drinking a hell of a lot of alcohol and this is a worry. A doctor once told me that when a child starts drinking excessive alcohol in their teenage years the brain hasn’t fully developed at this stage. In other words the brain cannot deal with too much alcohol and addictions can start to appear. Teenage drinking is a real problem. The main culprit of this is not feeling good enough and alcohol can give that instant fix (as it does with adults too) to feel better. I know in Europe children are given small amounts of wine with their meal to learn how to drink in a paced way which I think is the logical way of educating the young to drink alcohol. I know for a fact that children who are told alcohol is bad and evil tend to want to drink it as a form of rebellion and fascination, which can end up in disaster for the child and the family. I am not suggesting I have the answers but I can clearly see how alcohol dependency can occur. It just takes a few self esteem issues as a teenager and a little bit of alcohol mixed in there to gain pseudo confidence and then an emotional habit occurs. On a lighter note, I am cooking a red Thai curry tonight for Ian and myself. I am getting myself prepared for the night feeds for my 3 month old boys, so no wine for me! · Alcohol related tiredness. This is caused by fitful sleeping, toxins, REM sleep pattern not being there as long. · Anxiety, due to the toxins leaving the body as well as the exhaustion. · Feeling angry, this is due to tiredness, as well as the frustration of being angry at yourself for drinking too much and not feeling in control of the drinking. · Guilty mother syndrome. The guilt of wanting to drink to run away from being the responsible mother. · If you decide to do computer work such as surfing the net or facebooking and you enjoy a glass or two with this experience, put the glass of alcohol on the other side of the keyboard or in other words, use your non-dominant hand to drink from and the other have a glass of water handy. · If you are watching TV, make a conscious effort to put the glass of alcohol down between sips or even better keep putting your glass in another room so you have to keep getting up to drink it. · If you decide to not drink at all, prepare yourself in advance by keeping yourself busy, such as reading a book or watching that movie you planned to watch ages ago. · Generally people will have a threshold of when it is too late to have a drink, whether it is just after a meal or some say any time after 9pm or 10pm when it feels too late. Stretch this time out by just doing something different. Have a look at the week ahead and slice it up into days/nights so you can see for yourself what windows of time you have to decide on an alcohol free day. We’ve had a couple of very snowy days here in London. People are not venturing out and I don’t blame them. It seems from emails I am receiving from clients in the UK that while winter is so clearly here that staying at home or sitting by the fire of a beautiful old pub is very attractive! For those clients who are in the warmer regions of the world, the summer is proving hot and that there is nothing better than a cold glass of sauvignon blanc or a beer to consume at the end of the day. It seems it is too hot to be motivated to do anything. Speaking of motivation: A very good friend of mine called me this morning in a bit of a flap because she had ordered the latest boot camp in a bottle meal replacement program that is apparently all the rage this year and it hadn’t arrived after a week. This friend of mine is desperate to lose weight since her Christmas and New Year binge of food and alcohol. My friend is a very organised and savvy person who knows her retail rights. She gave them a bit of grief when they told her that the product due to huge demand wouldn’t be available for another 3 weeks! She was horrified as she felt that they had mislead her obviously along with others and that her hopes to be well on her way to being slimmer and happier with herself by now wasn’t going to happen. I told her I completely agreed with her but as we went further into the conversation I realised that my friend had put all her hopes into this miracle weight loss program and was at a loss at what to do next. She said that she is now so angry all she wants to do is go to the pub and sit by the fire and get drunk. This is the problem with Perfectionists and Anger. If one thing doesn’t go to plan then the binge mentality can kick in so easily and the best made plans just go out the window. · Why does it have to be perfect before I get on with my life? · Why do I want to hurt myself more by binge eating and drinking because one thing hasn’t gone my way? · Who said I had do it perfectly before I can get it right? The problem with waiting for a perfect moment to arise to start your healthy regime will ultimately cause you more stress because perfect moments just don’t come by that often. So have a look at the week ahead and slice it up into days/nights so you can see for yourself what windows of time you have to decide on an alcohol free day or go for that swim or make that tasty vegetable soup? Realise that these strong small steps are all your mind needs to learn that you are becoming healthier and happier with you. Don’t suffocate with procrastination it will only make you feel less in control. Some days it just isn’t going to work because that is life but that is the point, this is your life and being Perfect just doesn’t cut with me but rather can cause more self abuse and unhappiness. Write down in a diary or on your computer – in fact anywhere a plan to do one thing differently this week that will inspire you. Something that represents a strong small step towards looking after yourself. Have a good rest of January. I seem to be spending a lot more time recently writing blogs for parenting websites, and in particular mum’s bloggers, about how to drink less! Many years ago when I wanted to publish my Drink Less Mind book, every publishing house in the country rejected me. I was told I was crazy to even think about a book that would talk about reduction rather than abstaining. So, with my heart and my head telling me to self publish, I found a typesetter, a printer and away I went feeling extremely nervous and fearful about my decision. I asked myself many times, as I wrote that book, whether I was taking myself on a professional journey of failure, but I stuck to my guns. And thank goodness I did for it was not long after the ink was dry that I had some journalists who really resonated with my work and the books were literally flying off the shelf! I started to become a ‘secret club for mums’ who had swapped my book at their book club or secretly talked about the results they were getting when friends noticed they were drinking less. When I think back to those very early days, I smile to myself and feel incredibly grateful, for it was many of my clients who are parents, who ultimately helped fund my book, and I can’t thank them enough. Parents all around the world sign up for the Drink Less Mind online program and I receive an incredible amount of testimonials from this target audience. Mums and dads who run a very busy household, work full time, part time and all of the in-between. I knew then that there was mileage in my approach and like I do know that most habitual, unhelpful drinking is consumed in the home. One of my clients called it her ‘dirty little secret’ because all of her friends thought she was practically teetotal, and this was true socially. However, once home and the kids were tucked up in bed it was a different story. She could easily drink one or two bottles a night. I am, as you may know, not here to judge at all about drinking but what I do know is that ‘dirty little secret’ is not dirty for one and secondly, shouldn’t be a secret either. Secret or sneaky drinking is driven by unhelpful emotions that make people feel vulnerable, whether a mum, dad or singleton. Unbeknown to many of us, it’s the vulnerabilities that drive us to drink, which then create the vicious cycle of heavy drinking. Thank goodness I know the signs of how to stop the unhelpful cycle of drinking too much. So, for all those parents out there who are thinking about that drink or two or three tonight, remember there is nothing wrong with drinking alcohol. However, we need to remind ourselves of why we are drinking and if it is taking you down a slippery slope of reliance on the booze then The Drink Less Mind is there for you. I am constantly frustrated with tabloid newspapers’ frenzied attacks on the latest ‘so called’ stats, in particular about middle class women drinkers. Last week typically The Daily Mail called me desperate to find a case study for their article about the latest statistics about women trying to keep up with men in the booze department. Hello, recent study???? And typically, I spent hours contacting clients to help with the article and what happened? They took out all of my quotes and as usual decided to keep the scary bits in there without any resolve or resolution for people. Does the media not get it yet? Why write an article that does not give people the tools to find a solution to their drinking issues? I had a very clear conversation with the journalist about the underpinning issues about why women drink to keep up with the boys. It’s simple! It is a desire to be liked, to be accepted, to be part of the team and to belong. Self-esteem is the core issue here, not alcohol. Another article recently that got my back up too, about Julie Merner and how much the NHS spent on her. Some may be highly critical of Julie Merner and her bottle of vodka a day habit but if you read her history you will clearly see many emotional triggers that started her drinking one or two vodkas a day. This is the culprit, not the vodka. Julie was clearly traumatised by her partner leaving. That would have been enough for many people to drive them to drink. Then, having to live with her brother; another stressful life changing experience, and then her children not being with her. I think there is more than enough reason here for her to assume that vodka was a good way to suppress the emotional pain of what was going on in her life. For others it could have been chocolate or heroin, but Julie’s mind chose vodka. It is sad that she did not have, or did not realise, the resource of therapy to aid her feelings of abandonment and loneliness, rather than hitting the bottle. For that was what triggered her drinking behaviour, not her alcoholic tendencies. It’s a slippery slope when you use alcohol as a way to numb the extreme challenges in life and for Julie Merner this is what seems to have happened. Sad but true, the mind can learn very quickly how to deal with life habitually in unhelpful ways, to the detriment of someone’s own health and wellbeing. Julie’s self esteem was clearly at rock bottom for a long time. The vicious cycle of drinking to excess kept the ‘chicken and egg’ problem going for way too long. I think we should all honour that Julie’s story, albeit one that cost the NHS a lot of money, could have been a lot cheaper. Let’s be truthful here, if the NHS had had the right emotional tools in place in the beginning, Julie could have had a very different and insightful journey of healing. The belief that medical rather than emotional interventional solves all problems is ignorant and offensive to those who are in a trauma state. It is clear the NHS treated the symptom not the cause. How long will it take for people to realise that alcohol abuse is an emotional habit that can be unlearnt without spending £100,000? Let’s join forces and start a campaign to educate these statisticians on the truth behind these figures i.e. stress, anxiety, loneliness, low self worth, insomnia and boredom just to name a few drinking triggers.